CRICKET: sees Plumpton & East Chiltington CC in two league games this Saturday (May 13). The First XI are home (King George V Playing Fields, Plumpton) to Fletching and the Second XI are away to Alfriston. Both games start at 1.30pm. For more information about the Cricket Cub contact Charlie Wycherley on 07912 935889 or at charles@wycherleys.co.uk. JOIN A WALK (4 miles) this Sunday (May 21), with the Footpath Society, over Wiley’s Bridge along the river to Hamsey. Return towards Offham, crossing the railway line, through woodland before returning via the riverside walk to the car park. Meet at Phoenix Car Park, Lewes, (Map Ref 420 103) ready to start walking at 2pm. For more details call Sandy Washer on 07944187839. STARTING SCHOOL IN SEPTEMBER 2017? : Are you still undecided on a school for September 2017? Plumpton Primary School is a fantastic community school which offers its children the opportunity to experience individualised care and learning in a beautiful, safe setting nestling beneath the South Downs. Under the executive leadership of an outstanding head teacher the school has recently federated with Barcombe CE and Hamsey Community Primary Schools. This offers children the same educational opportunities of a larger school, whilst maintaining a very individual, rural, small school ethos. From September 2017, Plumpton Primary School will be one of the only local primary schools to offer a discrete Reception class for a small group of children, with a dedicated class teacher and teaching assis­tant. For parents this means your child will be in a small class, be supported individually as they transition from nursery to school life, receive a primary education that encourages a lifetime love of learning and memories of a school life that will stay with them long after they leave. There’s still time to consider your child’s school place for September 2017 and Stewart James the Executive Head Teacher would love to show you around this fantastic school. You are invited to join the School’s Open Day on Thursday May 25 from 9.30am to 11.30am or 1.15pm to 2.30pm. Please call on 01273 890338 to register your interest in attending. If you cannot make the Open Day, do call and make an appointment for a separate visit. DEREK TOMSETT: long-time resident of Riddens Lane, Plumpton Green, sadly passed away on Tuesday May 2. His family has asked me to let you know that Derek’s funeral will be at Woodvale Crematorium, Brighton, on Tuesday May 30 at 2.30pm. JUMBLE SALE: to raise funds for the Junior Football is on Saturday June 3 at the village hall. Donations of jumble will be much appreciated; please take jumble to the hall from 9am to midday. The sale starts at 2pm; do go along as there are sure to be lots of bargains, tombola and refreshments. 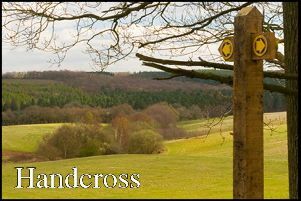 WOODS MILL: car park (Map Ref: 218 137) is the starting point for the Footpath Society (4½ mile) walk on Saturday June 3 at 2.30pm. The walk will include Downs Link, River Adur, Horton Wood and Small Dole. For more information call Diane Ellis on 01825 723716 or 07990710521. DANEHILL CHURCH: (Map Ref: 402 275) on Wednesday June 7, is the place to meet members of the Footpath Society for a 6¼ mile walk starting at 10am. The walk will be over field and woodland paths with a stop for lunch. For more details call Gill and Geoff Gamble on 01273 891218 or 07719540121. ‘THE SILVER THREAD’: is the subject of the Newick & District Decorative and Fine Art Society meeting at the village hall on Tuesday June 13 at 2.15pm. This lecture will follow the intriguing story of seven generations of Kosovan filigree artisans. Filigree is an ancient art form dating as far back as 2500 BC. Silver, gold and other metals are entwined together to form beautiful designs. Even the most mundane of objects can be transformed using this almost magical technique. The speaker Elizabeth Gowing studied at Magdalen College Oxford and moved to Kosovo in 2006 to work with the Ethnological Museum in Prishtina co-founding ‘The Ideas Partnership,’ a charity working on education and cultural heritage. It was chosen this year by Prime Minister Theresa May as one of the ‘Points of Light’ for volunteering around the world. Elizabeth is also the author of three books on Kosovo and speaks fluent Albanian. Visitors are always most welcome so do go along to this lecture; it really promises to be something special and will of course as usual be accompanied by a super digital presentation. The cost is £7 on the door with tea and biscuits afterwards and a chance to talk to the speaker. If you require any further information please contact Marjorie Blunden on 01825 723250. WOMEN’S INSTITUTE: meet on Wednesday June 14, at the village hall, at 7.30pm. The topic will be ‘From Sheep to Knitting Wool’ and the speakers Peter and Carol Goodman. The competition is a hand knitted scarf. New members are always welcome. For more details about the group call Val Thompsett on 01273 891256. COASTAL AND DOWNLAND WALK: from Roedean to Rottingdean village, (5 miles), following downland paths and tracks (with 6 stiles) takes place on Sunday June 18. Meet members of the Footpath Society at 2pm at the free car park at Roedean Bottom, at the junction of A259 and B2006, Map Ref: 347 032. For more details call June Denyer on 01444 471440 or 07889610183. FLOWER CLUB: meet at the village hall on Wednesday June 21 at 7.30pm. The demonstration will be ‘Fabulous Flowers’ by Lucinda Knapman. Visitors are most welcome at a cost of £2.50 at the door. There is always a raffle giving a chance to win one of the demonstrators’ arrangements. JUMBLE SALE: to raise funds for Plumpton Churches is on Saturday June 24 at the village hall. Donations of jumble will be much appreciated; please take jumble to the hall from 9am to midday. The sale starts at 2pm; do go along as there are sure to be lots of bargains, tombola and refreshments. OPEN DAY: at the Old Mill House (Plumpton Lane, Plumpton, BN7 3AH) is on Sunday June 25 from 2pm to 6pm. The garden covers some 12 acres and is influenced by its waterside setting. There will be a chance to visit the working water mill and products from the mill will be on sale. There will also be plant sales, tombola, stalls and a Jazz Band. Entry costs £7.50 (£2.50 for children under 16) and includes afternoon tea. All ticket proceeds go to St Peter & St James Hospice. Entry is by advanced ticket sales only and can be purchased at the Village Shop or on 01273 891722 (email carole.nicholson3@virgin.net) or 01273 890070 (email reglanaway@outlook.com).